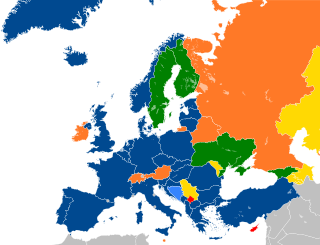 Thirteen former member states of the PfP (namely Albania, Bulgaria, Croatia, Czech Republic, Estonia, Hungary, Latvia, Lithuania, Montenegro, Poland, Romania, Slovakia, and Slovenia), have subsequently joined NATO. On April 26, 1995 Malta became a member of PfP; it left on October 27, 1996 in order to maintain its neutrality. On March 20, 2008 Malta decided to reactivate their PfP membership; this was accepted by NATO at the summit in Bucharest on April 3, 2008. During the NATO summit in Riga on November 29, 2006, Bosnia and Herzegovina, Montenegro, and Serbia were invited to join PfP, which they did on December 14, 2006. 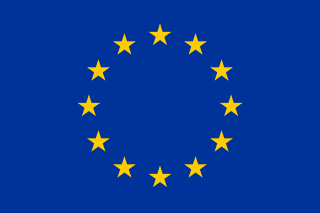 Cyprus is the only European Union member state that is neither a NATO member state nor a member of the PfP program. The Parliament of Cyprus adopted a resolution in February 2011 that Cyprus should seek membership in the program, but President Demetris Christofias did not act on it, saying it would hamper his attempts to negotiate an end to the nation's dispute with the Turkish Republic of Northern Cyprus (which is only recognized by Turkey) and demilitarize the island. Turkey, a full member of NATO, is likely to veto any attempt by Cyprus to engage with NATO until the dispute is resolved. Christofias' successor, Nicos Anastasiades, has publicly supported PfP membership for Cyprus, but no headway has occurred since. Kosovo[b] has described PfP membership as a strategic objective of the government. Kosovo submitted an application to join the PfP program in July 2012. However, four NATO member states, Greece, Romania, Spain and Slovakia, do not recognize Kosovo's independence and have threatened to block their participation in the program. To be eligible to join, the Kosovan Armed Forces must be established. ^ North Atlantic Treaty Organisation (December 3, 2009). "Partner countries". Retrieved December 23, 2009. ^ Borawski, John (April 1995). "Partnership for Peace and beyond". International Affairs. Royal Institute of International Affairs 1944–. 71 (2): 233–246. JSTOR 2623432. ^ Savranskaya, Svetlana; Blanton, Tom. "NATO Expansion: What Yeltsin Heard". nsarchive.gwu.edu. National Security Archive. Retrieved April 6, 2019. ^ a b c d e f g h i j k l m n o p q r s t u v w x y z aa ab ac ad ae af ag ah ai "Signatures of Partnership for Peace Framework Document". North Atlantic Treaty Organization. October 5, 2006. Retrieved November 30, 2006. ^ a b North Atlantic Treaty Organisation (April 26, 1995). "Secretary General's Council Welcoming Remarks, Visit by Maltese Deputy Prime Minister and Minister of Foreign Affairs, Professor Guido de Marco, Wednesday, April 26, 1995". Retrieved November 30, 2006. ^ a b Bohlen, Celestine (November 12, 1996). "New Malta Chief Focuses on Neutrality". New York Times. Retrieved April 5, 2008. Within hours of taking office, Mr. Sant withdrew Malta's membership in Partnership for Peace, a NATO military cooperation program that is so loosely defined that its sign-up list now spans the spectrum from Russia to Switzerland. [...] Mr. Sant says none of those moves should be interpreted as anti-European or anti-American, but simply as the best way of insuring Malta's security. ^ a b Gambin, Karl (April 3, 2008). "Malta reactivates Partnership for Peace membership". DI-VE. Retrieved April 3, 2008. The cabinet has agreed to reactivate its membership in the Partnership for Peace which was withdrawn in 1996, the government said on Thursday. ^ a b North Atlantic Treaty Organization (April 3, 2008). "Malta re-engages in the Partnership for Peace Programme". Retrieved April 3, 2008. At the Bucharest Summit, NATO Heads of State and Government welcomed Malta’s return to the Partnership for Peace Programme. At Malta's request, the Allies have re-activated Malta's participation in the Partnership for Peace Programme (PfP). ^ North Atlantic Treaty Organization (November 29, 2006). "Alliance offers partnership to Bosnia and Herzegovina, Montenegro and Serbia". Retrieved November 30, 2006. ^ Associated Press (December 14, 2006). "Serbia inducted into NATO". Retrieved December 14, 2006. ^ "Cypriot parliament votes to join NATO's Partnership for Peace". SETimes. February 25, 2011. Retrieved July 19, 2012. ^ "Cyprus – Vouli Antiprosopon (House of Representatives)". Inter-Parliamentary Union. Retrieved February 24, 2013. ^ Dempsey, Judy (November 24, 2012). "Between the European Union and NATO, Many Walls". New York Times. Retrieved July 19, 2012. ^ Kambas, Michele; Babington, Deepa (February 24, 2013). "Cypriot conservative romps to presidential victory". Reuters. Retrieved February 24, 2013. ^ "Hoxhaj në Lituani, merr përkrahje për MSA-në dhe vizat (Video)". Ministry of Foreign Affairs of Kosovo. April 3, 2014. Retrieved April 3, 2014. ^ "Kosovo seeks to join international organisations". Turkish Weekly. July 19, 2012. Archived from the original on July 25, 2012. Retrieved July 19, 2012. ^ "Kosovo looking to join the Adriatic Charter". January 21, 2013. Retrieved November 11, 2013. ^ Thaçi, Hashim. "Prioritetet e reja të Politikës së Jashtme të Kosovës". Ministry of Foreign Affairs of Kosovo. Wikimedia Commons has media related to Partnership for Peace (PfP). Portuguese-Serbian relations date back to 1917. Portugal has an embassy in Belgrade, and Serbia has an embassy in Lisbon. Despite support by Portugal for the independence of Kosovo, Serbian Prime Minister Mirko Cvetković was keen to improve bilateral cooperation. Also, Portugal is backing Serbia's accession to the European Union (EU).